Encompassed by the Illawarra Escarpment, fringed by rugged coastline and pristine sand surf beaches, Coalcliff is fast becoming the jewel of the Northern Illawarra. Here you will find the local surf club with an active ‘Little Nippers Club’, tidal ocean pool, kids paddling pool, rock fishing shelf and fully patrolled surf beach, you couldn’t ask for more. As for the residence, it’s a charming red cedar classic pole home, split level and totally delightful. Architect designed to perfection, north-east facing to capture the best of the sun light, breath-taking views and ocean breezes. 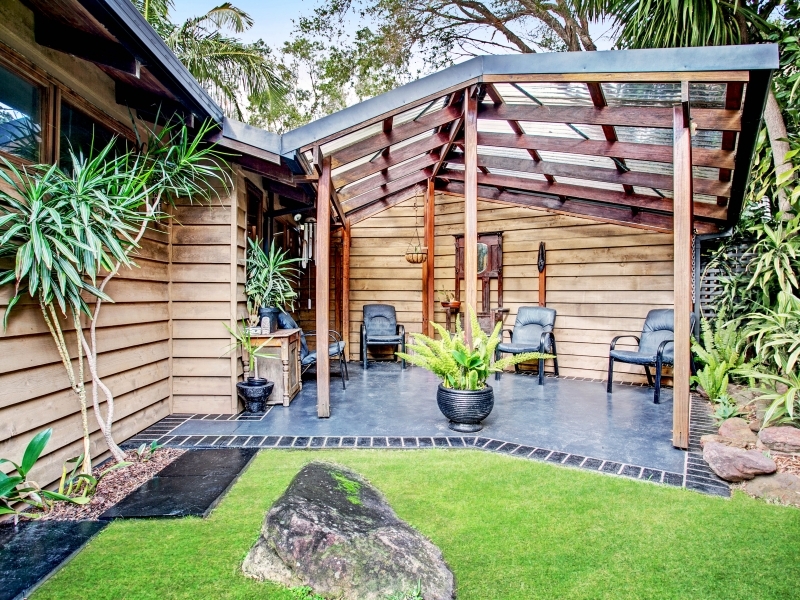 With timber decks and quirky balconies accessed from all the rooms in the home, you really get to enjoy the scenery, the peace and tranquillity, and the easy care gardens which surround this home and provide complete privacy from neighbours. This home’s thoughtful layout separates the living areas from the sleeping quarters, with the intricate and completely unique design of room shapes and soaring ceilings, with love and attention to style and detail. It is anything but conventional, which makes it so captivating and charming. Strategic positioning and thoughtful design of the home ensures it is very warm in winter and cool in summer, with louvre windows to the “Palm Valley” providing cool breezes when required. 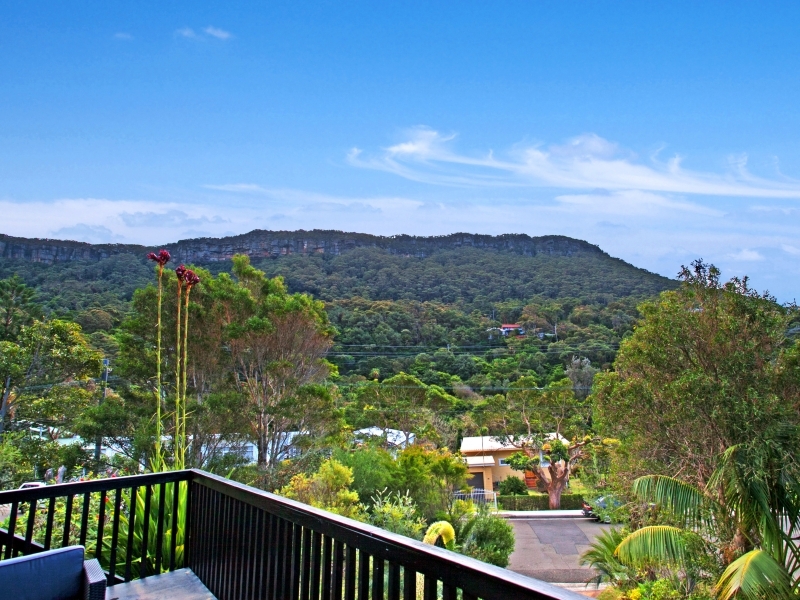 With astounding views of the majestic escarpment and the ocean to the east, you will never tire of spending lazy days at home. The backyard is completely private and low maintenance, safe for the kids and pets alike. Under the house is a large storage area. This extra space is a true bonus that you simply won’t find in many homes today, a perfect man cave to escape to.